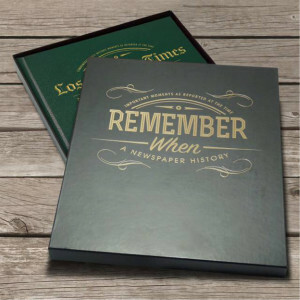 Celebrate a birthday, anniversary or major date in your life with this beautiful bound leatherette book collecting the news of a date,of your choosing, throughout the years. 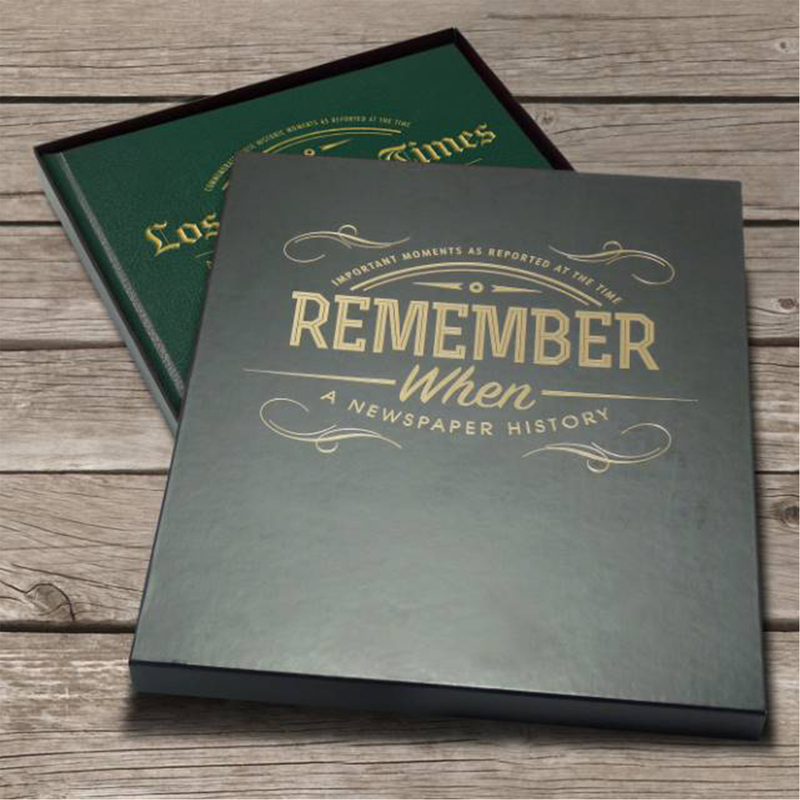 Experience the history of the time with a gift that's precious beyond measure. 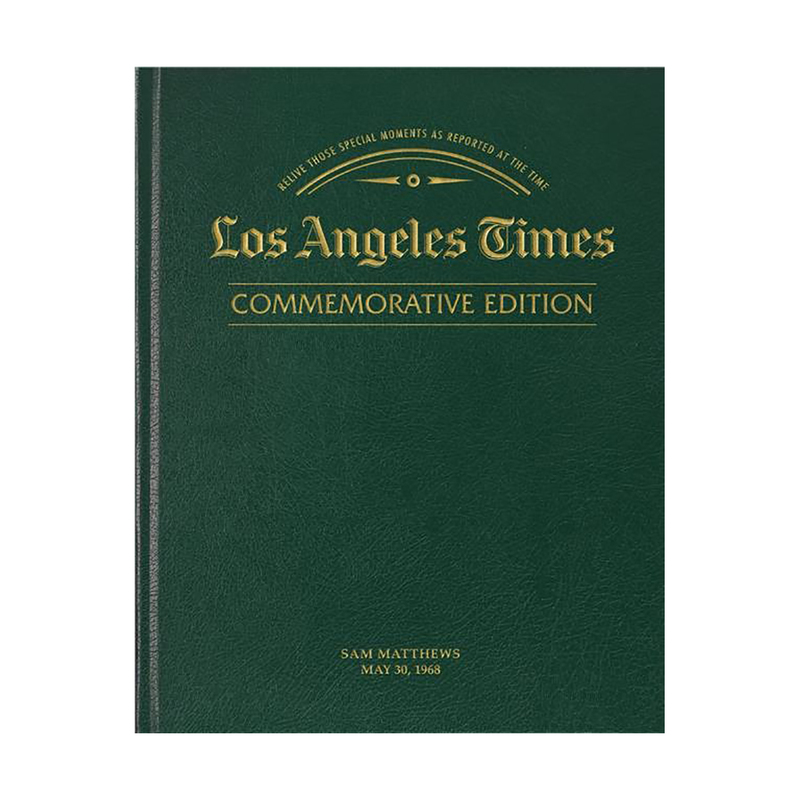 When purchasing the L.A. Times Commemorative Date Book, be sure to select the month and date that you'd like to order. 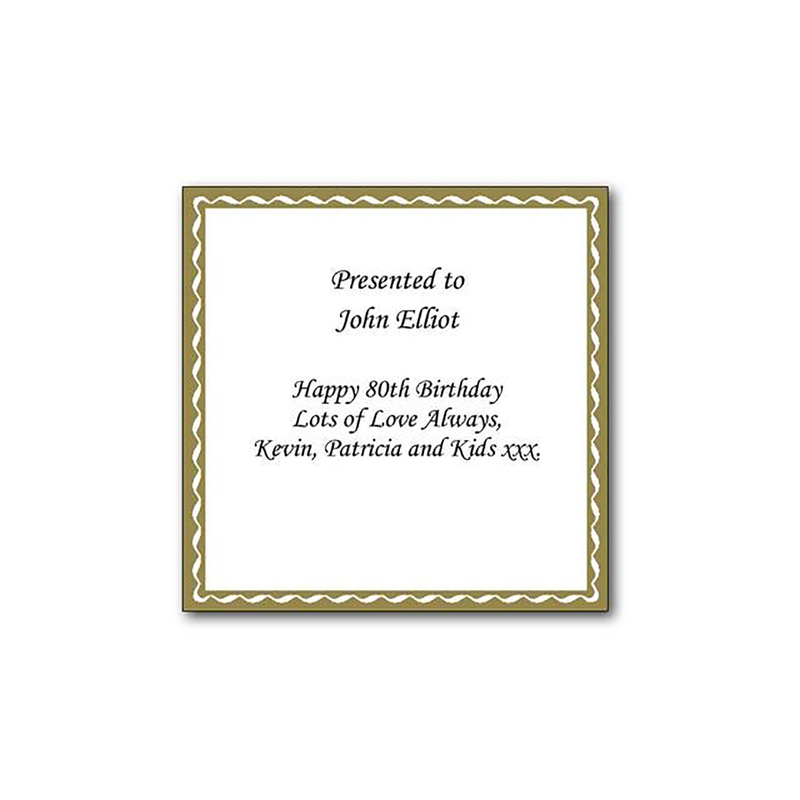 Take it above and beyond with the free personalized message and cover embossing. Please note that a birth month, day and year are required for any purchase of a Commemorative Date Newspaper Book, along with the name of the person the book will be presented to. 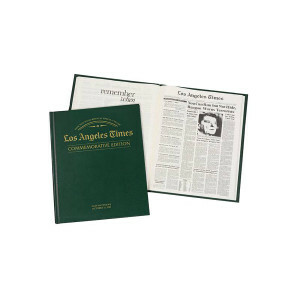 Los Angeles Times Commemorative Date Newspaper Books are available for any date from 1926 to 1995. 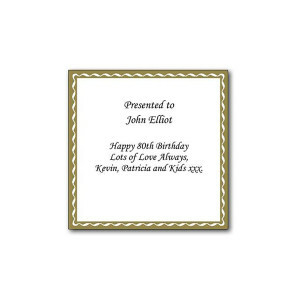 If you would like a future date included, you need to order 60 days after desired date. 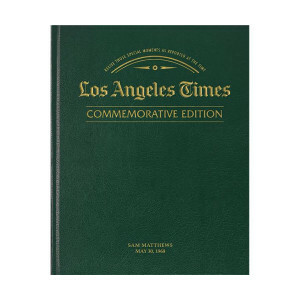 Book measures 12"" x 15"".